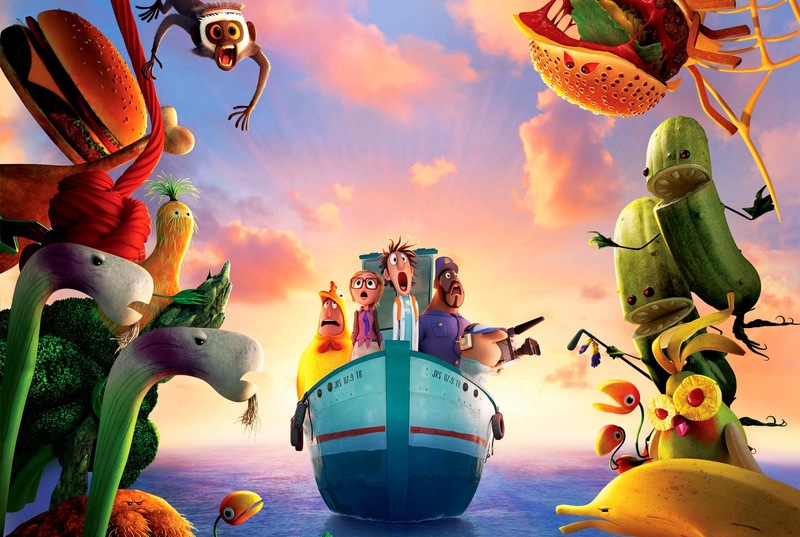 Cloudy with a Chance of Meatballs 2 picks up where Sony Pictures Animation's hit comedy left off. Inventor Flint Lockwood's genius is finally being recognized as he's invited by his idol Chester V to join The Live Corp Company, where the best and brightest inventors in the world create technologies for the betterment of mankind. Chester's right-hand-gal - and one of his greatest inventions - is Barb (a highly evolved orangutan with a human brain, who is also devious, manipulative and likes to wear lipstick). It's always been Flint's dream to be recognized as a great inventor, but everything changes when he discovers that his most infamous machine (which turns water into food) is still operating and is now creating food-animal hybrids - "foodimals!" With the fate of humanity in his hands, Chester sends Flint and his friends on a dangerously delicious mission, battling hungry tacodiles, shrimpanzees, apple pie-thons, double bacon cheespiders and other food creatures to save the world again! With a photo of my foodimal, I joined a contest held by Sony Pictures and Churp Churp.... and managed to get preview tickets to watch the movie! 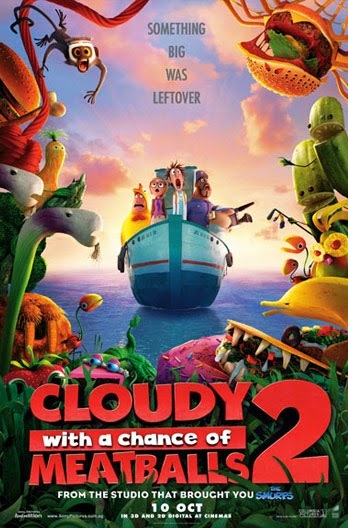 Animations such as Cloudy with a Chance of Meatballs 2 is one which should be enjoyed without much thinking into the (mechanics of) plot: with talking primates, quirky scientists creating out of this world inventions (e.g. spray-on shoes) and foodimals (animals in the form of food), any logically person would think it ridiculous. So, as long as you are not realistic and logical, it is a fun good movie. It is fiction after all and fiction is all about imagination (and makes some sort of sense – in a quirky way of course). 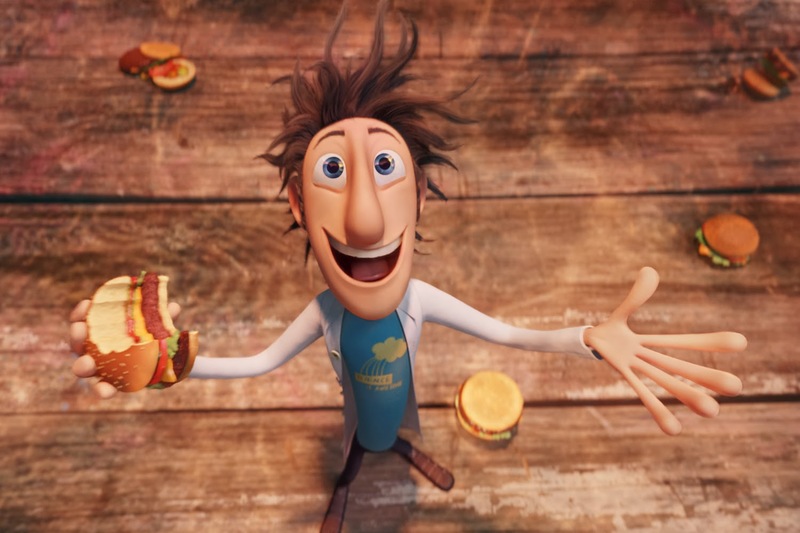 In the opening of the movie (a sequel to Cloudy with a Chance of Meatballs), we are reminded that the protangonist – Flint Lockwood (an aspiring scientist) - had created a machine called the “FLDSMDFR” (Flint Lockwood Diatonic Super Mutating Dynamin Food Replication). The machine could create food (delicious food at that) with just water. Unfortunately, the machine went rouge and started altering the weather with food (snowing ice-cream, raining burgers and a spaghetti tornado are some examples). So in a bid to stop the machine from wracking havoc, Flink attempted to disable the machine (and in gets lost in the process)… which resulted in an island overridden with food and even more food. And this is where the movie begins, as the inhabitants of the island figure out going about cleaning up there island. However, before they even start, they are interrupted by Flint’s idol and role model, Chester V (a creative and successful scientist who promotes science and for some weird reason is obessed with fruit bars; his company’s lifeblood is in its fruitbars more than anything else). Chester and team manage to persuade the islands inhabitants to leave the island (Swallow Falls) while they carry out the cleanup operation on their behalf. Much to Flint’s delight, he is even offered a position at Chester’s company (but unbeknownst to him, Chester has a much more sinister plan). Within a matter of months Flint and company (friends and family) have settled into the nearby town where they have been located to. Flint works at Chester’s company in a highly competitive (and propagandized) environment with a caffeine station at almost every corner and monitors displaying the image of Chester to “motivate” and “inspire” his think tanks (by overdosing them on caffeine and overworking them). You kind of get a feeling that Chester is not as big-hearted and kind as he portrays himself to be; a clever (charismatic) slave master in the truest sense. Perhaps only adults or a more mature audience comprehend this spoof of its real world counterpart, but for children it’s still good old cartoon fun. Somewhere along in the story Chester V’s failure to locate the “FLDSMDFR” prompts him to persuade Flint to locate it for him disguised as a way to redeem himself for a blunder he had committed at work. He manages to convince Flint to take up the mission, letting him believe that the half animals half food creatures (Cheesespiders ) have taken over Swallow Falls and are going to destroy the world (in essence). Initially, Chester wanted Flint to carry out his mission alone, but it was foiled when Flint’s girlfriend, father and friends tag along. So he disrupts the group and tries to break the bonds Flint has, causing Flint a moment of identity crisis - wanting to gain the approval and acknowledgement of his idol (Chester) and losing the trust of his friends. Thankfully Flint comes to his senses and saves the day. Overall, it was an entertaining movie and I simply adored the foodimals! The plot could have been more developed, but it was sufficient to bring about the flow of the storyline, bringing you right into the action and not getting lost (even if you have not watch the prequel). In fact, the foodimals were more interesting than the actual characters. With living breathing (even talking) foodimals, the adorableness is a saccharinely delight (for those who adore adorable little things!). 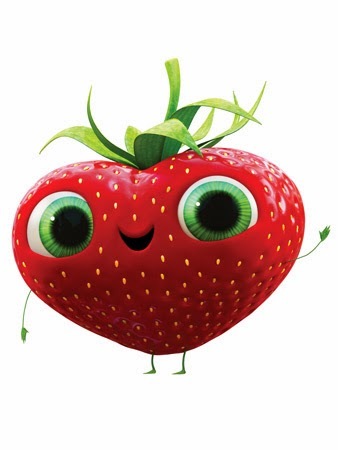 And I must say, strawberries have never been cuter! Berry stole the show away (for me). My absolute favorite character of them all. A strawberry with a mean punch too! Of course, as with all stories (targeted mostly for children) there is a morale behind this, and that having good friends and cherishing those bonds are important as they are precious. The opinions of good friends (and family) who understand and know you should carry more weight than what your idol (e.g. person you admire but hardly know or have a bond with) tells you. Just because you look up to a person doesn't mean they would think of your well-being. After all, there's a fine line between helping and being made used of. Just because they portray a certain image to show that they are nice, doesn't really mean that they are nice.